63. 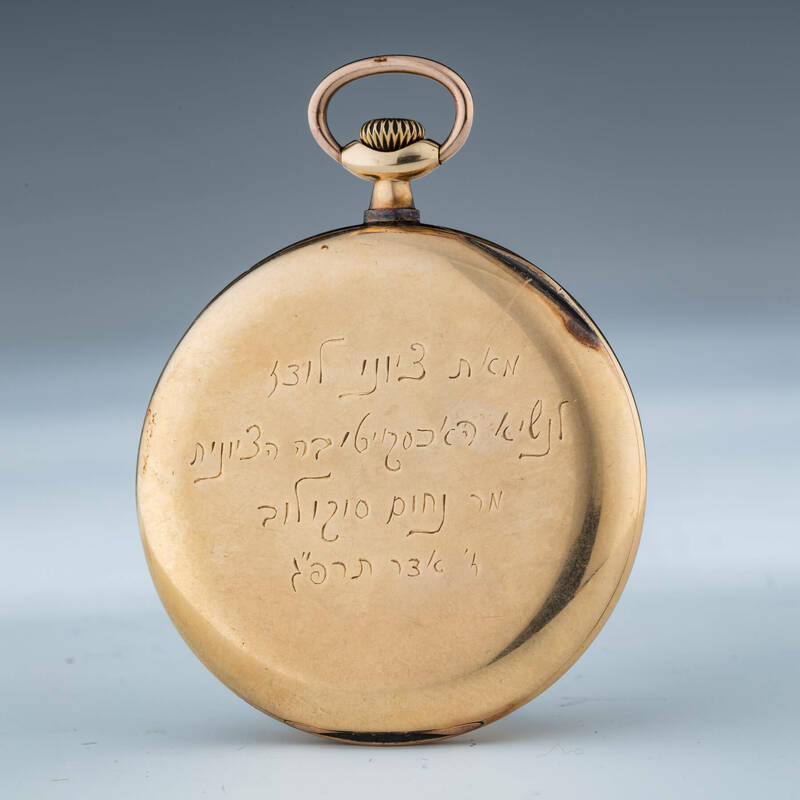 A “Grand Prix Paris 1900” Pocket Watch Given To Early Zionist Nahum Sokolow. Switzerland, c. 1905. The case is 14 karat gold. Manufactured by EFCO Longines. An engraved Hebrew dedication on the back of the case: “From the Zionists of Lodz, to the President of the Zionist Executive Board, Mr. Nahum Sokolow, Adar 7, 5683 ” Broken glass. Scratches and defects.